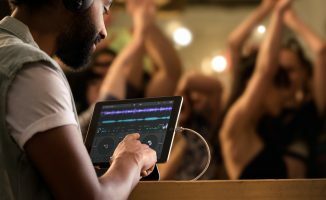 Native Instruments has made its bid in the iOS DJ world with the release of Traktor DJ For iPad, which is now on sale for US$19.99 in the App Store, and includes key detection built right in to the app. Above is the Richie Hawtin-fronted promo video. At the same time, Native Instruments has also released Traktor 2.6.1 (it’s in the Service Center now, or grab it from the new download area on Native Instruments’s website), which also features in-app key detection, and adds cross-app compatibility with the iPad version. 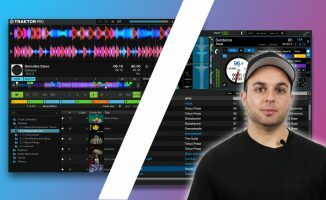 We have a full review and demo video of Traktor DJ – but in a couple of sentences, it’s a stripped down, waveform-heavy, two-track app, that rather than copying the desktop version, has been designed from the ground up for the iPad. It has a slicer-like waveform “Freeze” function, in-app key detection, a next-track recommendation engine that takes into account BPM, harmonic match, and a Mixed In Key-like “energy level”, plus real-time beatgridding. You can share library information from Traktor DJ to Traktor 2.6.1 across the apps via Dropbox, meaning it is possible to do your track preparation on the iPad version, which is then synced across to Traktor on your laptop, or vice versa. • Grab Traktor DJ from the App Store now, find out more about it on its official site, and grab and Traktor 2.6.1 from the Service Center or the Native Instruments download area. Are you an iOS DJ who’s already heading over to the app store to grab your copy? 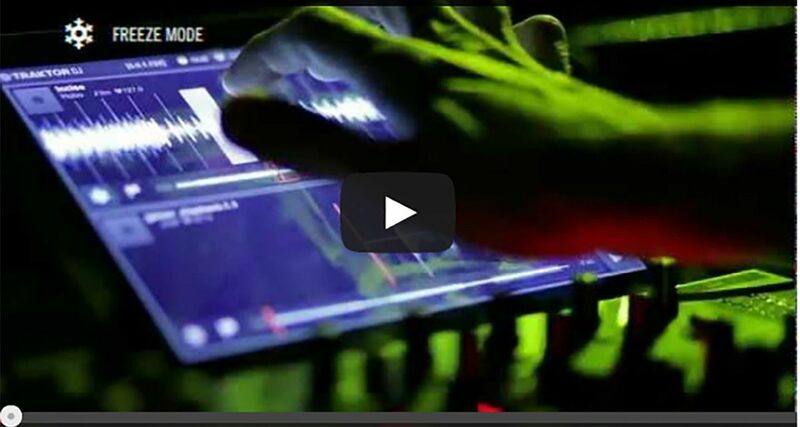 Are you a laptop Traktor DJ who’s glad to see key detection finally arrive in your software? We’d love to hear your thoughts on Traktor DJ for iPad and Traktor 2.6.1 in the comments. Someone on the DJ Tech Tools forum apparently did a comparison, it’s same ballpark for accuracy. Editing the key colum to ur own preferance of code wud b nice. Plus choice of color. Has 2.6.1 made ne new moves on multi bpm beatgrids. I have a list ten mile long. 128/110, 140/174,110/128,140/100. U name it i prob use it live. I think that’s what a lot of people will use it for too… it’s a killer idea the more you think about it. It only works on OSX 10.7 or later!!! I feel like this should be mentioned in the above article Phil. This is a big deal as Snow Leopard is extremely popular and still the most used OSX version to date. Its the XP of Windows. Just out of interest, why don’t you upgrade your OS? What’s holding you back? I have a MacBook Pro Core Duo (2008) and it works just fine for DJing. I understand that 10.6.8 is the latest version of OSX for this model… which is kinda’ sad (to me). I would like to get the newest version of the software. I can’t go dropping that much cash on a new MacBook Pro. I just finished upgrading OSX now. So far everything else is working basically the same but I haven’t had a chance to use Traktor yet. I was holding out as Snow Leopard was known for being very stable but I guess thats a sign that it was time to move on. I’ve been waiting *so long* for this and they finally make it just a couple of months after my original iPad gets end-of-lifed… gutted – no Traktor DJ for me. To reply to the last question…Im a laptop DJ who doesnt use Traktor and do NOT intend to ditch my laptop. That said, Im quickly off to the iTunes store to grab my copy just because its NI and its traktor and because…thats why! No seriously, it looks like a great app, and if us DJs dont get our hands on these stuff to test it out who will? And it also can be useful as a “dallback” plan if you havent got your platop with ya or if it goes “berzeck” 5 minutes before a gig. iPad looks good – let’s see it rolled out to Android devices!! – but the killer news here for me is the appearance of key detection in 2.6.1. With the introduction of the F1 to my setup, key detection has become, well…key!I have been trying out free software for this without satisfaction, so was on the verge of shelling out for Mixed In Key when NI come up with the goods. Danke schon!! Looks pretty damn good to me. The idea of grinding and cueing while commuting to work is awesome. One slight problem…iPad. Any idea I this will ever make it to the Windows App Store? I was considering trading in my Surface RT for a pro just to run Traktor. An app would save me a fortune!!! Freudian slip. Gridding, not grinding!!! I can’t believe that the new Traktor 2.6.1 needs 10.7 iOS or higher!!! My Macbook Pro is only one year old and i now can’t update Traktor…. you gotta be kidding me! EPIC FAIL NATIVE! Why don’t you just update your OS? I’m another OS 10.6 user (2008 Macbook Pro) and I’m now wondering if it’s time to make the switch up to OS 10.7. Presumably, you’ve got this yourself? If so, did you upgrade or was your kit already loaded with 10.7? I’m fortunate enough to have discs with 10.6 to fall back on if the newer OS gives me grief but from your personal opinion, is it worth the upgrade? I upgraded, was flawless for me. With 10.6.8 here, too. People have several valid reasons for not upgrading to 10.7/8. Mine is that I’m in the middle of an album project and while I’m not 100% sure, I can’t risk my laptop system not working 100% with the Logic 3rd party plugins that I use on in and studio machine. Both my studio MP and MBP are 10.6.8, working about flawlessly and I simply don’t want to disturb the balance I have now. I wonder if I could use my iDJ Pro to work with this? At the moment the iPad app doesn’t have any Midi integration, when it does who knows which devices NI will be aiming to cosy up with? OMG, I just payed $40 for MIK 5 days ago. Well, I was going to compare the key detection to djay, but will now compare against Traktor. Sample size around one hundred? I’ll keep DDJTs posted on the results. Just saw the link above at DJTT. Not bad. Still, I’m out $40. Okay Phil, as a man of science who loves data, I’m on it. 100 tracks, djay vs. MIK vs. Traktor. Unbiased with a random selection. We may need to include RekordBox which also does a good job on key detection as well…it’s free, but doesn’t edit any ID3 tags. actually it does write ID3 tags…just not the Key field. I have passed this on to Pioneer and requested they write the key data back to the ID3 TKEY tag. Ive given the different algorithms a good test and they are on a pretty similar par. I can’t figure out how to get Traktor to re-analyze. There are new analyze options in preferences. I tried right-clicking on tracks and folders. What am I missing? Try this: If you want to analyze tracks one at a time, you can right click a track and then analyze it *OR* you can right click your folder and analyze tracks, when Traktor asks you if you want to re-analyze tracks (I think this is the preferred way) you can say yes, or you can analyze in load (I don’t suggest this if you have a large library, a somewhat slow computer and a small amount of time to prepare to play). Occasionally, it just makes sense to wipe out your old settings and “re-stripe” anew. Hopefully Traktor makes all their supported controllers available! I’d love to use this with my DJM-T1! iTunes: Requirements: Compatible with iPad. Requires iOS 6.0 or later. disregard NI’s site has the info: Requires iOS 6 or higher, iPad 2 or later, or iPad mini. 500 MB free storage/disk space recommended. Well looks like its time to buy a Surface Pro…Lol! About time. Rekordbox app is on the right path. NI needed to do this. There is no reason why I shouldn’t be able to manage my Traktor library on the go! I am definitely getting it and I do not have an iPad but I will tomorrow. lol…ok I worked it out.. bit silly.. once you run the analyses, you need to exit the folder and re-open it and it makes the change to the info… like a refresh.. of course..
I’m an idiot.. sorry DJ universe for spilling my noobness all over this article.. but for anyone else with that problem.. there you go.. It seemed to analyze all my tracks “behind the scenes”. In my folders and playlists I use through my iTunes, it says NONE as you pointed out. Then I checked the “Track Collection” folder or “All My Tracks” folder, and there they were, all analyzed, and right up against my MIK results in the comments column. Fairly consistent. I don’t get their system yet either, and I don’t understand why it doesn’t show up in the KEY column. Hope to get it figured out soon. Im at work so forgive me if the instructions arent 100% but In the settings go to beat detection musical key, choose the way you want it to detect the key and from there you can set which field its supposed to populate. Serato is still a solid product and does all the basic stuff. Nevertheless, I agree that NI continues to increase their lead. 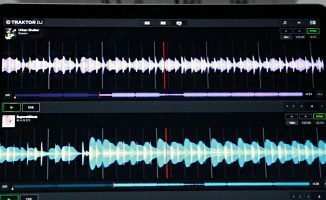 Serato seems to be less interested (or unable) to create new features. It seems like it took them years just to incorporate effects in Scratch live. They still haven’t open up the Remix Decks yet though? That would have been top of my list. Key detection is cool though, its one less thing to do, bye bye Mixed in Key! Yeah seriously, it’s been almost a year and remix decks are still locked into F1 only. I think it’s time to open it up for other controllers. With more controllers and a larger user base, we’d start to see people sharing/selling beter remix decks packs. I do own an F1 so it’s not like I’m bitter that I don’t have the chance to use remix decks. Does Traktor 2.6.1’s Key Detection feature require a live internet connection, like Mixed In Key’s, or is it available 100% offline? No Internet connection needed to detect Key! Can someone please explain to me on how the new key system works in traktor. I’m use to using mix in key with the Camelot wheel. What I understand is that it’s not possible to sync the track collection between Traktor Dj and Traktor Pro without iTunes. For me is a big problem because I never use iTunes in Traktor. At my iTunes account I only habe my personal music not all the tracks that I use for work. Does anybody knows if is it possible to sync without iTunes? Just downloaded 2.6.1 the Key feature is great I have already put together a few mixes by key! Would love to see better remix deck handling with 3rd party controllers .. but I won’t hold my breath. 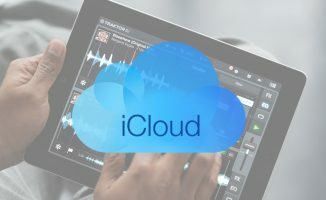 How could i export the dj set recorded on traktor ipad ? Yes. You can save any Traktor DJ mix and then sync your ipad, go to the “Apps” tab for the ipad and scroll down to “File Sharing,” there you will find Traktor DJ. Click on it and then to the right you’ll find YOUR RECORDED MIXES! You can save them to your computer and then do whatever you want (I suggest converting to MP3 to reduce file size). Side note: it annoys me this was not made clear anywhere in the app, the “tips” section of Traktor are pretty bare bones IMO. Awesome app, enjoy! Nice tip to export mixes but I keep getting this error. “could not be copied because an error occurred. The required file cannot be found.” I’m looking at it in itunes and can play it via the Traktor app on my iPad. It’s maddening. Any suggestions? Try renaming the mix in Traktor. Then save the newly renamed track from itunes. Worked for me. When i record my set on traktor iPad .. I send it to my dropbox but i can’ read it … Why ? It’s recorded on collection.nml.gz … What’that format ?